This smoothie tastes like biting into an creamy orange popsicle. Peel the orange and remove as much of the white as possible. Add the yogurt to the blender. Add ice cubes, then the orange. Add cream, if desired. Blend in the ice. Let stand for a minute to reduce foaming. Our tests gave us better results when we added a splash of cream and used frozen orange juice cubes instead of water cubes. You could go a step further and add 1/8 teaspoon of vanilla extract (or even a spoonful of instant vanilla pudding powder). We much preferred the thicker consistency of Greek yogurt over regular yogurt. For a touch more orange flavor, use canned mandarin orange wedges instead of an orange, or use the (actual, non-syrup) juice of mandarin oranges to make ice cubes. 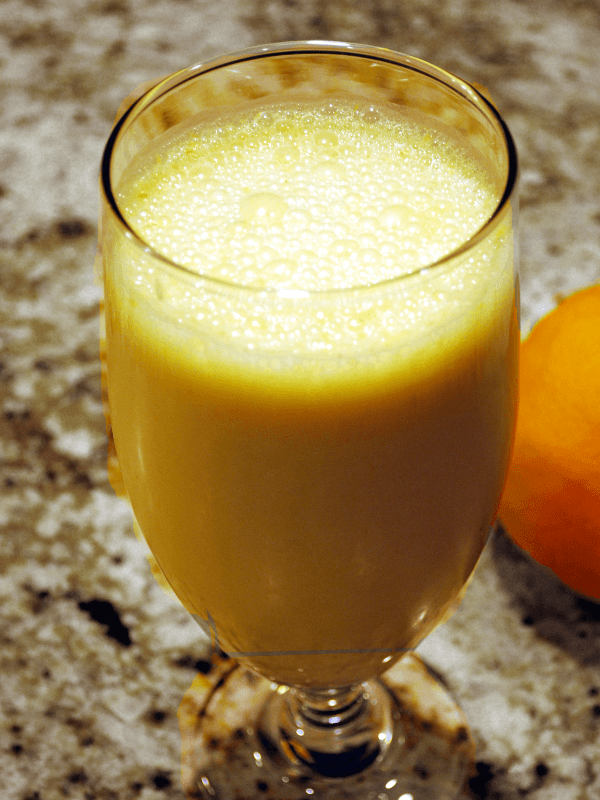 Alternately, use vanilla bean ice cream and mandarin oranges to make a dessert smoothie!